Get a heaping helping of small-town charm and Southern hospitality when you visit Foley, Alabama. Visitors to this coastal community will enjoy the city’s quaint downtown filled with historic sites and museums, as well as its bustling entertainment and shopping areas. A walking tour of downtown Foley reveals unique antique shops, Baldwin County’s first hospital (now a medical museum), an old-fashioned soda fountain and so much more. 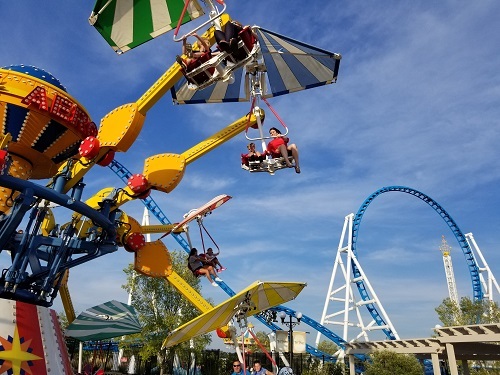 Thrill seekers can get their kicks at OWA, an amusement park featuring 21 rides for the young and young-at-heart. In south Foley, the 120-store Tanger Outlet Center is a shopper’s playground, with famous-brand stores and fun boutiques. Fun and adventure in a small town? You bet! Begin your Foley adventure with the adrenaline-pumping rides at OWA. With 21 thrill rides, plus an interactive splash pad, the day will fly by! Take a break from the action for lunch at one of Downtown OWA’s restaurants, including the Groovy Goat and Wahlburgers. No trip to Foley is complete without dinner at Lambert’s Café, the home of the throwed rolls. Just raise your hand and a big, fluffy roll will be tossed in your direction. Waterways and nature preserves, and the area’s rich agricultural history offer abundant natural wonders. 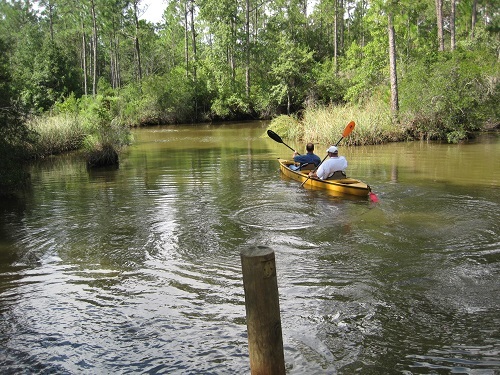 Water lovers will enjoy a day kayaking or canoeing the Wolf Bay Watershed. Launch your vessel at Graham Creek Nature Preserve or Wolf Creek Park and enjoy the quiet serenity the water offers. While you’re at Graham Creek Nature Preserve, take your time. There are nearly 500 acres of natural habitats to explore, including a five-mile hiking trail, 7.5-mile bike trail, nine-basket disc golf course, bird watching and picnic areas. Pack a lunch or bring a to-go sandwich order from Gelato Joe’s and take in your surroundings. From the wonders of the waterways and nature preserves to the abundance of fresh produce and seafood provided by Baldwin County’s farming and fishing community, schedule a stop at the Coastal Alabama Farmers and Fishermens Market. The market is a great spot to get to know the area via colorful conversation with locals. 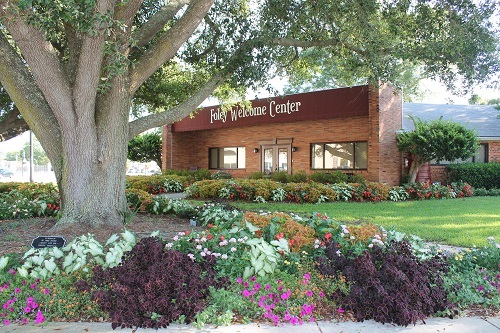 Leave the car parked and put on your walking shoes to explore downtown Foley. 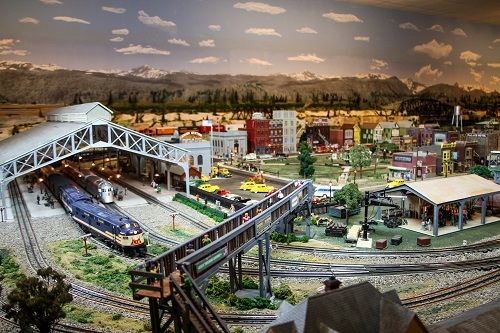 Take a peek into the past at the Foley Railroad Depot Museum and Model Train Exhibit. Folks of all ages will enjoy the story of how Foley evolved with the help of the railroad system. Stroll through the Wilbourne Antique Rose Trail where hundreds of heritage roses gracefully line the pathways from Heritage Park to Berry Street. Treat yourself to a traditional (and overflowing) Southern buffet at the Gift Horse Restaurant. After lunch, explore the medical marvels at the Holmes Medical Museum, Baldwin County’s hospital from 1936 to 1958. The hospital is virtually unchanged with many of the artifacts being original. Get a dose of coastal culture at the Foley Art Center. Here, you’ll find a collection of works by artists and craftsmen from across the Southeast. Browse the collection of antique shops that dot the downtown area and find the perfect piece for your home. Top off your walking tour with dinner at Portabella’s Restaurant. Feast on house-made specialties like pastas, pizzas and salads.